The power of Muay Thai has been a force for good for Stamp Fairtex throughout her life – from making her a World Champion to getting her through tough times. 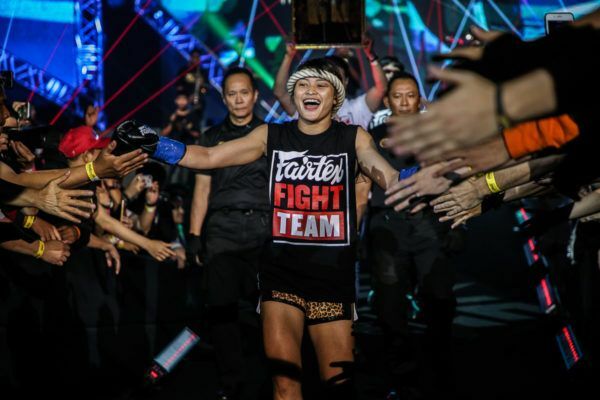 Before she broke through as a star in ONE Championship and took her spot in the main event of ONE: CALL TO GREATNESS, the Thai hero turned to martial arts to help her through one of the most difficult periods of her life. As a child, Stamp was a victim of bullying. The taunts and abuse she was subjected to made her low on confidence and self-esteem. Stamp Fairtex is out to inspire the with her World Championship rise. “Back in kindergarten, I was picked on a lot,” the ONE Women’s Atomweight Kickboxing World Champion explains. “I was a lot smaller than the other kids at school, so they would tease me and pinch me. “Every day, I’d go home and cry to my mom about it, but the next day it was always the same. It pained her parents to see her suffer, so they persuaded the then 5-year-old Stamp into martial arts so she could learn how to overcome her tormentors. The family was already deeply involved in the local Muay Thai community – her uncle ran a modest training camp known as Kiat Boon Kern where her family trained and gathered regularly. ONE World Champion Stamp Fairtex has been defying gender stereotypes since the start of her career. Almost immediately after she pulled on gloves to train for the first time, she started to flourish. She was stronger – physically and mentally – and soon after that, the bullying stopped. “Once I started training, I felt stronger and more confident. I think others could see it too because they started to leave me alone,” she says. Stamp is not the only person in her family to overcome a similar set of circumstances through her country’s national sport. Her younger brother experienced similar troubles, but he followed Stamp’s example, and the art of eight limbs helped him to overcome his problems. Stamp Fairtex sharpening her tools for 22 February! “My little brother was also being bullied at school, so my parents encouraged him to train and compete,” Stamp says. Of course, Stamp’s talent and love for the sport meant that Muay Thai opened many more doors for her. She quickly progressed to competitive bouts and began to make the rounds through the temple fairs with her teammates in hopes of finding matches. Through regular competition, Stamp rose through the local ranks and began to compete for regional titles. 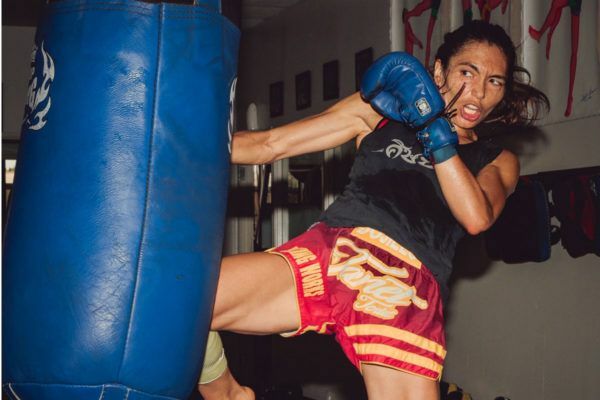 Having graduated from her family gym, Stamp went on to hone her skills at Fairtex Training Center in Pattaya, located in the Gulf Of Thailand – a short distance from Stamp’s home in Rayong Province. Her sharp striking, incredible strength in the clinch, and irrepressible work ethic helped her become the first female athlete to be sponsored at the gym. Eventually, her skills helped her to win the ONE Atomweight Kickboxing World Title when she defeated Kai Ting Chuang at ONE: KINGDOM OF HEROES last year. As the first Thai ONE Super Series women’s World Champion, the 21-year-old has become a hero and an inspiration for people in her homeland, as well as martial arts fans around the world. “Muay Thai is a sport that will change your life. It will make you both physically and mentally stronger,” she says. “I’m proud of myself for my accomplishments. On 22 February, will Stamp Fairtex win a second World Title and make history in Singapore? Now, Stamp is focused on a new challenge at the Singapore Indoor Stadium on 22 January, when she will attempt to become The Home Of Martial Arts’ first-ever two-sport World Champion. She will face Janet “JT” Todd for the inaugural ONE Atomweight Muay Thai World Title in the main event match of ONE: CALL TO GREATNESS. Such massive stakes have made the troubles of her youth a distant memory, but she will never forget what she had to do to overcome them, as her struggles helped to shape her into the world-beating star she is today. “I don’t think about my bullies anymore. Instead, I’m focused on the task at hand – winning a second World Title,” Stamp adds. The Thai intends to win the ONE Muay Thai Atomweight World Title in Singapore, and then challenge for a third belt. Does "JT" have the skills and experience to take out Stamp Fairtex at ONE: CALL TO GREATNESS?